A majority of people associate the summer with relaxation and leisure. However, summer also happens to be the peak season for moving. In an article from the New York Times, Ronnie Greenberg, a Manhattan psychoanalyst said, “Panic can really set in around (moving) your home and your apartment. It’s a matrix of safety, so moving is incredibly stressful and people don’t realize it – they mainly talk about the packing and the external part (or stress) of moving.” Ralph’s to the rescue! Stress depletes your energy stores when you need them the most, for instance when you may be prepping for a move. What is really important is how we handle our stress responses. As a moving professional, we at Ralph’s know that moving can be difficult and there can be many additional stress factors that can be layered into your move. One thing you have the power to do is to find an outlet for that stress. Here are some ideas on how vent your frustrations and get the stress out! Lets begin with BreakOut Studios, located in East Tucson at Speedway and Wilmot. Breakout has a diverse selection of dance and fitness classes for all ages and levels including jazz, tap, ballet, hip hop, dance cardio with a live DJ, TRX Suspension Training and more. Dancing is a great way to relieve stress and get in physical exercise. 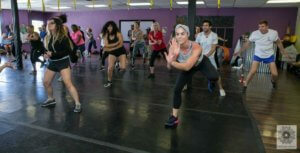 Check out CNN’s report on 5 reasons why dancing is good for you. Our second suggestion is stretchy and flexy. Tucson has a plethora of yoga studios. If you are intimidated, don’t be. 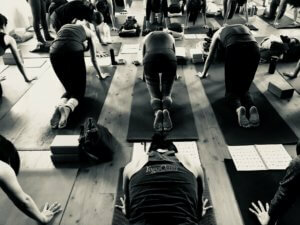 Most yoga studios are welcoming and inclusive. We recommend YogaOasis because they have ongoing classes and are open to drop-ins. Yoga Oasis has three locations to choose from. Click here to get started. Don’t take our word for it that yoga can help with stress, check out reasons #1 and #2 from Healthline’s newsletter. Our third suggestion is newer to the stress relief and fitness scene. Orange Theory is a guided, cardio intensive, one hour work out that has been climbing the popularity chart for the last few years. 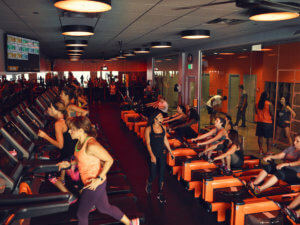 Orange Theory offers the first 3 classes, free. You can find locations here. Stephanie Jordan from Odyssey tested Orange Theory for 3 months, you can read her experience here. Our next suggestion is CrossFit, if you have a friend that does it, you are sure to have heard all about it. Constantly varied functional movements are the definition of CrossFit. You can find a local affiliate here and check out what all the hype is about for yourself, just don’t expect to be flipping tires every day. 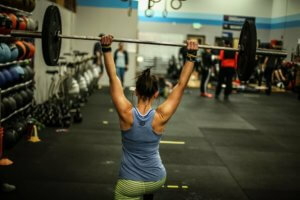 Read this quick post, “Top 10 Things No One Tells You Before Starting Crossfit” by Danielle at Truffles and Treadmills to prepare yourself if you are going to give it a try. Next up, hiking! Our next location we propose to relieve stress is what some refer to as the crown jewel of the Santa Catalinas. When was the last time you went to Sabino Canyon? You will find your $5 entry fee nominal next to the beautiful views offered. The trails are accessible for both hikers and walkers. Sabino Canyon Dam is a short loop that doesn’t gain much in elevation, but you will find some shade and water. Read why Time describes hiking as the perfect mind – body work out. Our penultimate recommendation to relieve stress is the Tucson Shambhala Meditation Center. Tucson is a well known destination for meditation. Tucson Shambhala Meditation Center is part of an international community of urban meditation and rural retreat centers founded by Chogyam Trungpa Rinpoche (google him!). June 5th marks the next guided meditation instruction. Tucson Shambhala Center offers guided instruction each month on the first Tuesday and the best part is it is free. Make sure to check out their regular events listed on their website. Interested in the science behind meditation? Read 20 Scientific Reasons to start meditating today on Psycology Today’s website. For our last idea on stress relief, sometimes it feels good to break some things. 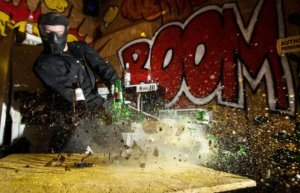 The Breaking Point offers a set menu to break and smash things. Yes, smash things. Get your Office Space demolition on with the different smash sessions starting at $10.00. There has been conflicting scientific research on the benefits of this type of “therapy” that you can read in the article by Elizabeth Scott on Very Well Mind. However, it has is noted that participating in this kind of activity as an outlet for stress can be fun and encourage bonding if you go with your friends. In closing, exercise can be a great way to relieve the stress from everyday life. We’ve given just a few ideas on how to get moving, shaking and grooving. 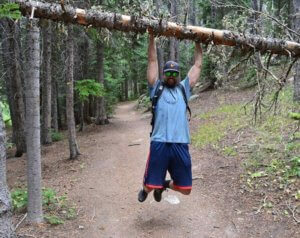 Exercise and stress relief doesn’t have to be conventional. Sometimes, it’s even better to break the mold and try something you never thought you would do. *I’m coming for that dance title Kevin.